mothers wanting to survive–even thrive–when the nest empties. It’s about giving our children roots and wings as we rediscover our own. 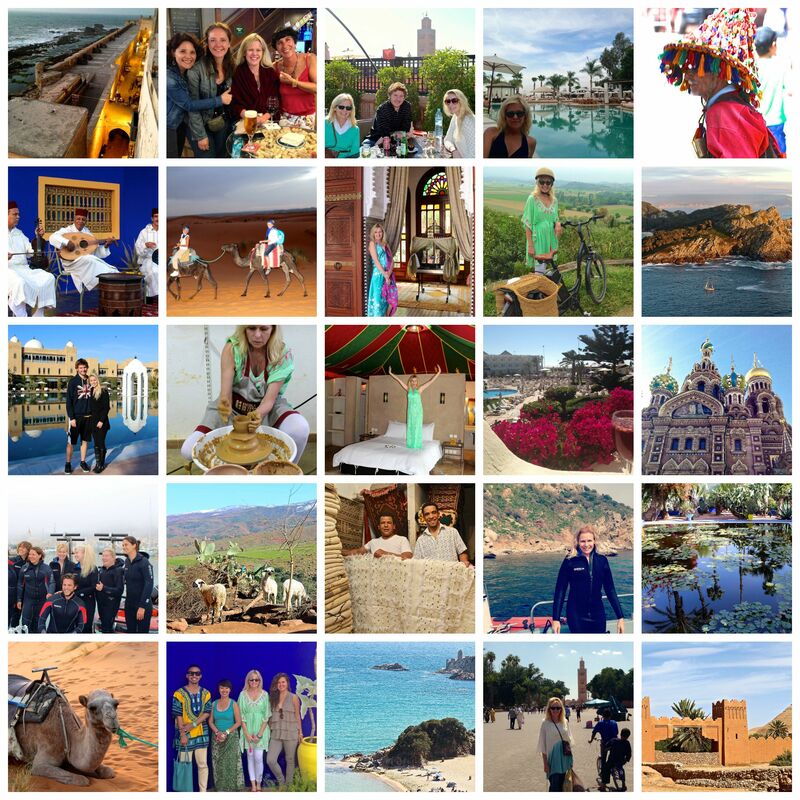 I didn’t know when I decided to move to Marrakech in 2014 that this city would be named Trip Advisor’s #1 Travelers’ Choice Destination of 2015. I moved to Morocco sight unseen but knew I’d find in this mysterious place adventure and beauty, history and diversity. There I worked–hard–but could also play in morning snow in the Atlas Mountains and return to Marrakesh to see a poolside sunset. I volunteered with village girls through NGOs, taught and learned from locals, and hopped riads, busses, and planes to the coast or Europe just a couple of hours away. My two years there were magical but to be nearer to family I moved again…this time to the Dominican Republic. A Mermaid in Marrakesh, I spent weekends and vacations escaping to the coast. In Santo Domingo the sea was two miles away and the rainforest called. My treks thus far have been across the US (including New York City, Boston, Chicago, Charleston, Savannah, New Orleans, and cities in Hawaii, Florida, and California) , Morocco, The DR, Costa Rica, The Bahamas, Ecuador, Ireland, Scotland, England, France, Austria, Germany, Monaco, Switzerland, Spain, Portugal, Italy, Greece, The Netherlands, Belgium, Lithuania, Russia, Slovakia, Turkey, Czech Republic, Vatican City, and Liechtenstein. If I can answer questions about these destinations, please contact me at cindylmccain1@gmail.com. Likewise, I would love to hear your expat stories, travel tips and comments. Thanks for stopping by, and I hope you’ll stay connected on Facebook, Twitter, Instagram, and Pinterest. Create your own map of countries where you have lived or visited here. Happy Travels! Thank you for leaving a comment on one of my posts, because it led me here, to your gorgeous and inspirational story. Travel Happy, Cindy! Thank you, Charles. I appreciate your blog’s travel tips, your publications, and impressive interviews with industry leaders. Congrats on your success!